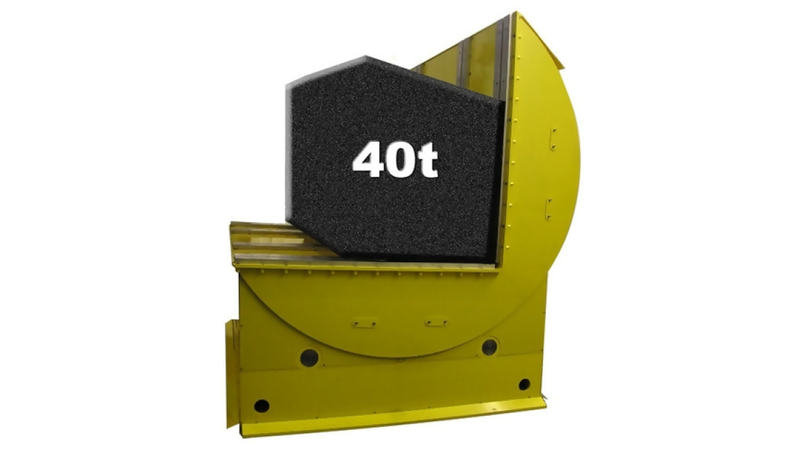 To turn massive components up to 40 t without danger, the load is taken up near the centre of gravity between two pairs of rollers and turned electromotively by 90°. The unrolling of the turning table offers the advantage of the possibility to move loads with the lowest effort of energy and the highest degree of security. In connection with an intermediate lift, even a turning by 180° can be achieved.